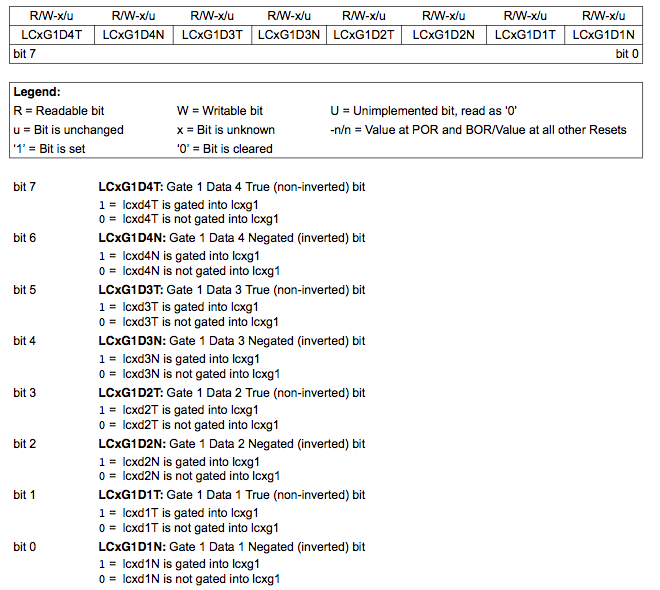 The CLCxLGSx Registers, contained in the Configurable Logic Cell (CLC), control the polarity of the selected CLC inputs. Outputs from the input multiplexers are directed to the desired logic function input through the data gating stage. Each data gate can direct any combination of four selected inputs. The gate can be configured to direct each input signal as inverted or non-inverted data. Directed signals are ORed together in each gate. The output of each gate can also be inverted before going on to the logic function stage but that is controlled by the CLCxPOL register. Each Data Gate is in essence a 1-to-4 input AND/NAND/OR/NOR gate depending on the invert/non-invert settings. 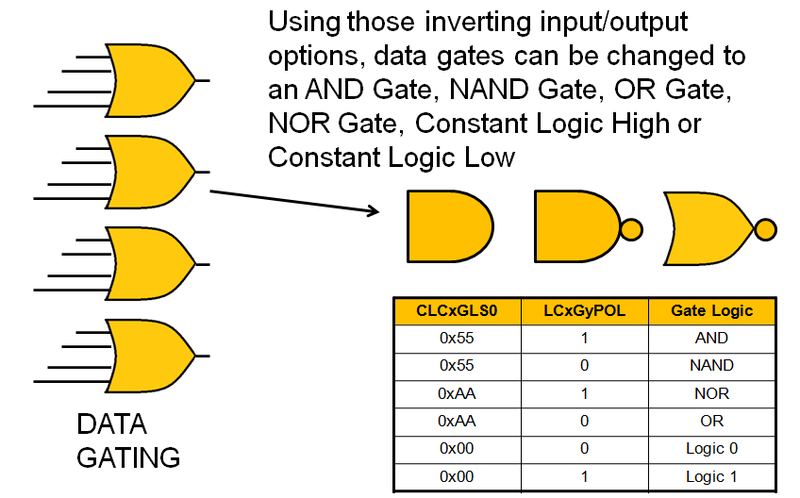 When every input is inverted and the output is inverted, the gate is an NOR of all enabled data inputs. When the inputs and output are not inverted, the gate is an OR of all enabled inputs.